Incorporating space, simplicity and superior quality, 22 Alan Watt Crescent makes for the perfect family home. Defined by its contemporary design and versatile floorplan, this home showcases quality finishes and open plan living spaces – perfect for the needs of the modern family. Complemented by luxurious features, this home boasts four bedrooms, three with built-in robes and a stunning master bedroom with ensuite and walk-in robe plus views back across the Gungahlin region. Conveniently located within walking distance to local parks/reserve, shops and public transport, this home offers a lifestyle of pure comfort and convenience. The Owners’ Favourite Part: EASY… The open plan kitchen/living that seamlessly flows to the covered outdoor entertaining area, perfect for enjoying those summer BBQ’s with friends and family. 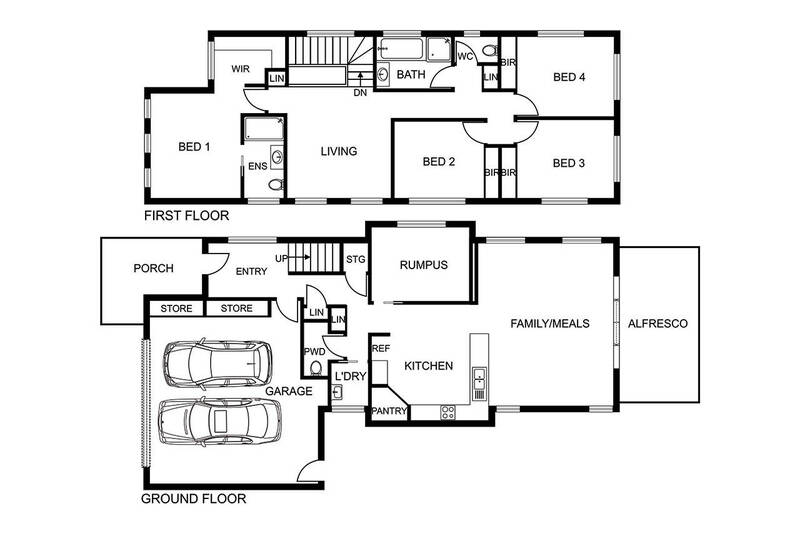 – Generous proportions featuring multiple living areas. – Low-maintenance landscaped gardens and a large alfresco. – Designer kitchen with stone waterfall benchtops, plenty of storage, pop-up power points and quality appliances. – Three step cornice to lower living areas. – Four good sized bedrooms including master suite complete with stunning ensuite and walk-in robe. All secondary bedrooms offer oversized spaces and built in robes.